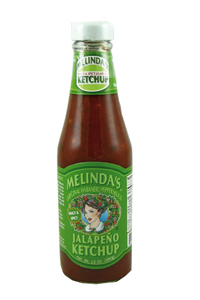 Melinda's Jalapeño Ketchup continues this tradition by using only the freshest all naturalingredients blended perfectly with thetangy jalapeño pepper. 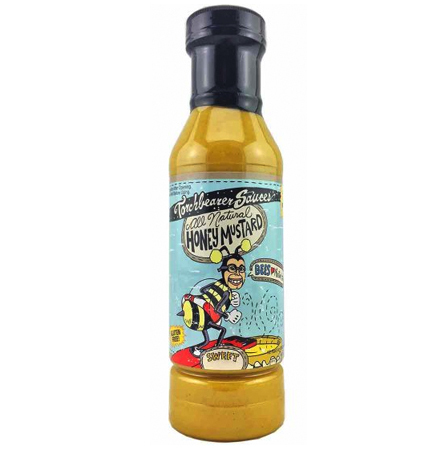 The result is a spicy and tangy Ketchup with a bold flavor. One try and you'll never use plain old ketchup again. Ingredients: Tomato paste, pure cane sugar, glucose, jalapeno peppers, salt, starch, vinegar, garlic pulp, citric acid, onion powder, ascorbic acid, spices.